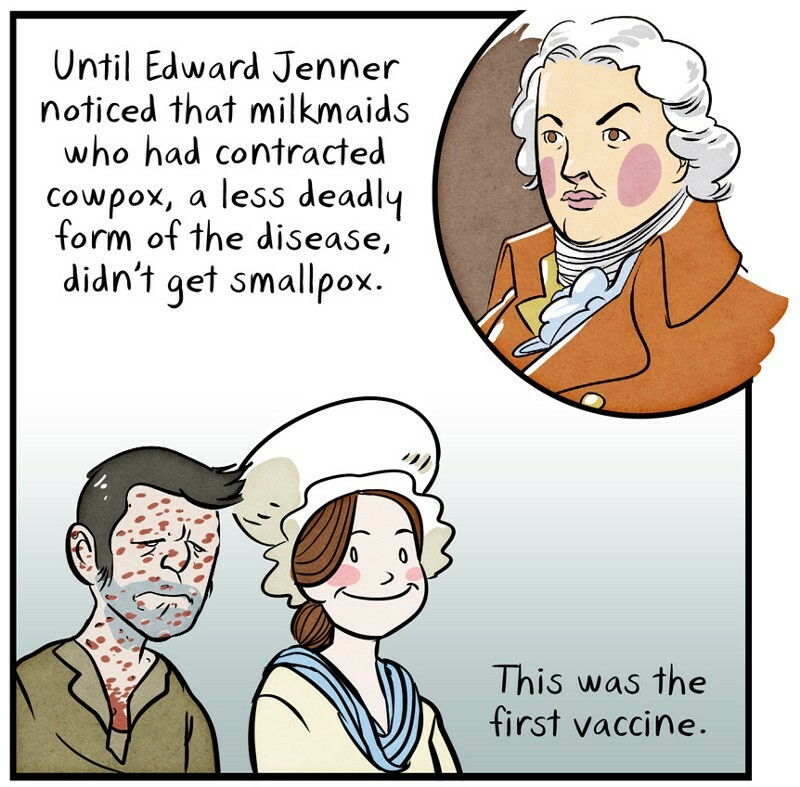 This Comic Dispels So Many Myths at Once. Have you seen this comic? It's written/illustrated by Mari Naro, and published over at The Nib. Simply titled "Vaccines Work: Here Are The Facts"
And how it's perfectly understandable to have questions about vaccines, their effectiveness, and their safety. After all, we're injecting something into otherwise healthy adults. 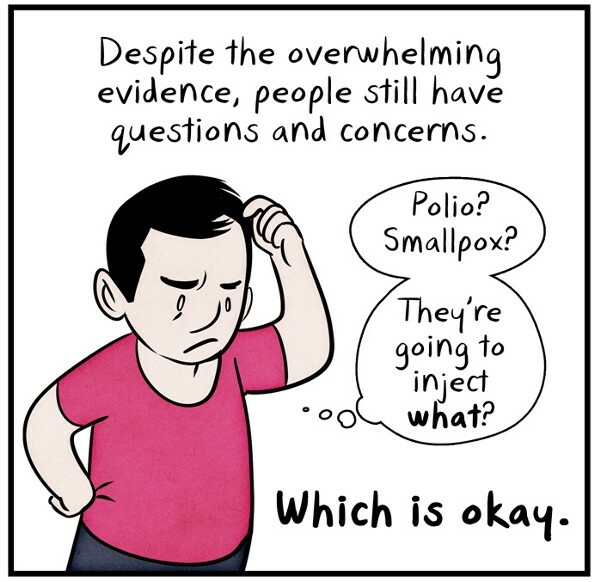 So what is the overwhelming evidence that shows vaccines are effective, important, and safe? 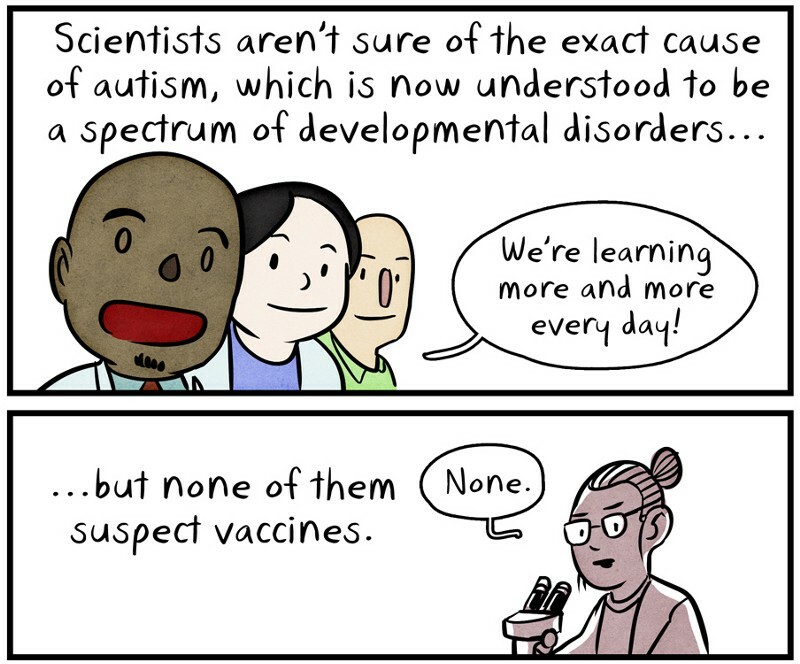 Is there any evidence to show that vaccines cause autism? 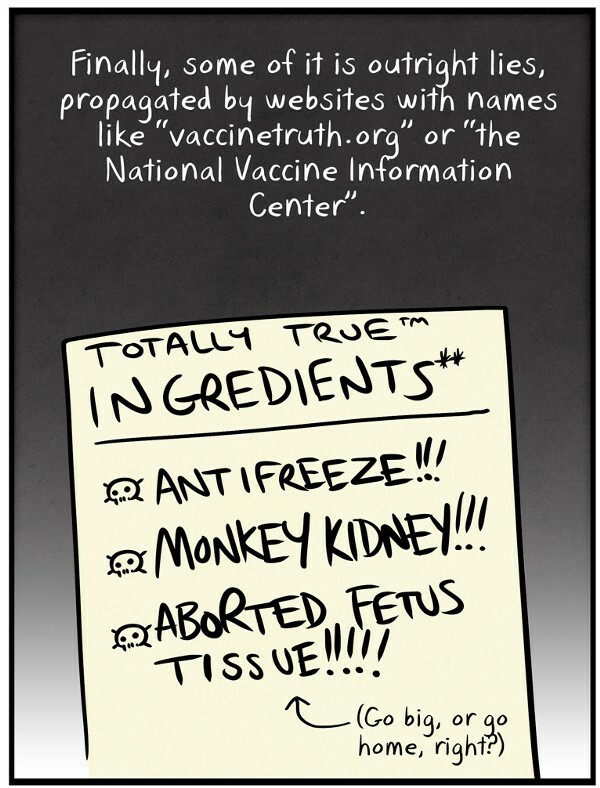 What about the ingredients in vaccines? Are they safe? Vaccines are one of the most tested medicines in the world. 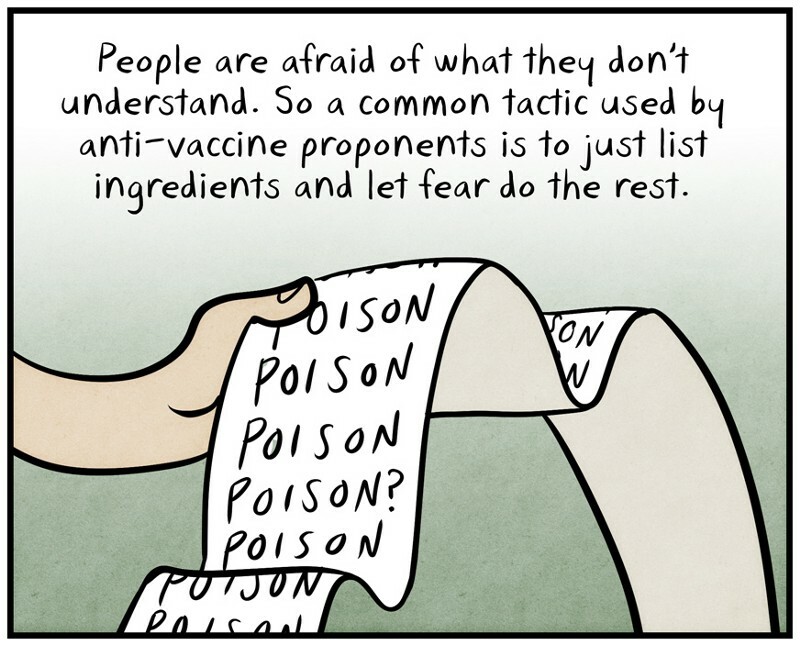 What anti-vaxxers do is list a bunch of ingredients most people don't know, and let fear take over reason. Or sometimes they just make up lies. 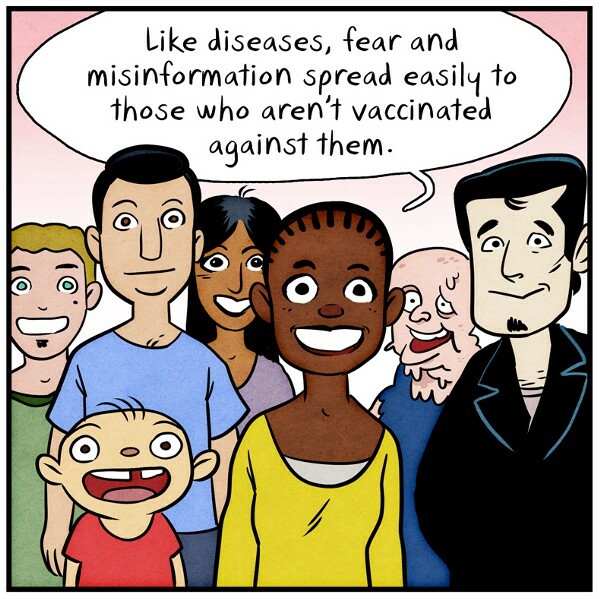 So what can we do to fight this fear and misinformation, and keep our communities healthy, and continue to eliminate some of the most deadly diseases in the world? Share correct information, and dispel myths! 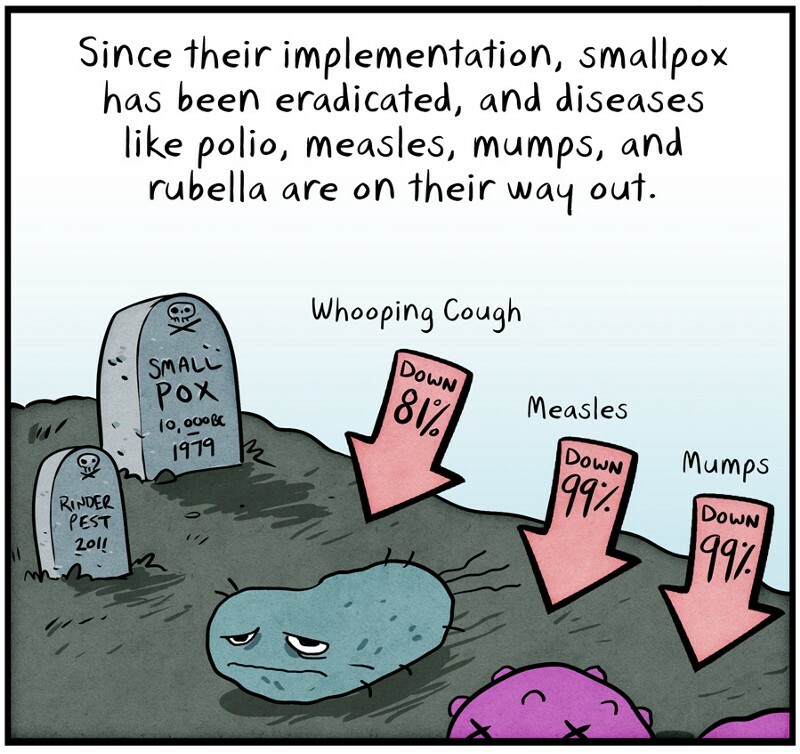 Go to sites like ours, or this comic, and spread the word about the good that vaccines do! Check out the entire comic here - it's definitely worth a read!